R. Steven Hall received his Doctor of Dental Medicine (DMD) degree from the University of Connecticut School of Dental Medicine and completed his residency in General Dentistry at the University of North Carolina, Chapel Hill. Dr. Hall is a member of the American Dental Association, a Fellow in the Academy of General Dentistry, and a Fellow in the American College of Dentists. Dr. Hall has served as president of the Hartford Dental Society and is currently on the planning committee for the Connecticut Mission of Mercy. 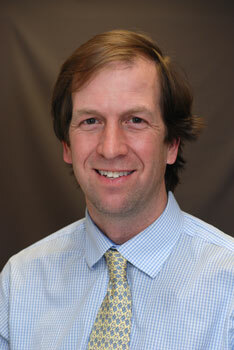 Dr. Hall has been voted “Top Dentist” by his peers in Hartford Magazine for the past six years. He is a clinical instructor at the University of Connecticut Dental School as well as the team dentist for the Hartford Wolf Pack hockey team. When not taking care of patients, Dr. Hall enjoys skiing, fishing and spending time with his family. Dr. Hall has been named “Best Dentist” in Hartford Magazine in 2009, 2010, 2011, 2012, 2013, 2014, 2015, 2016, 2017 and 2018.